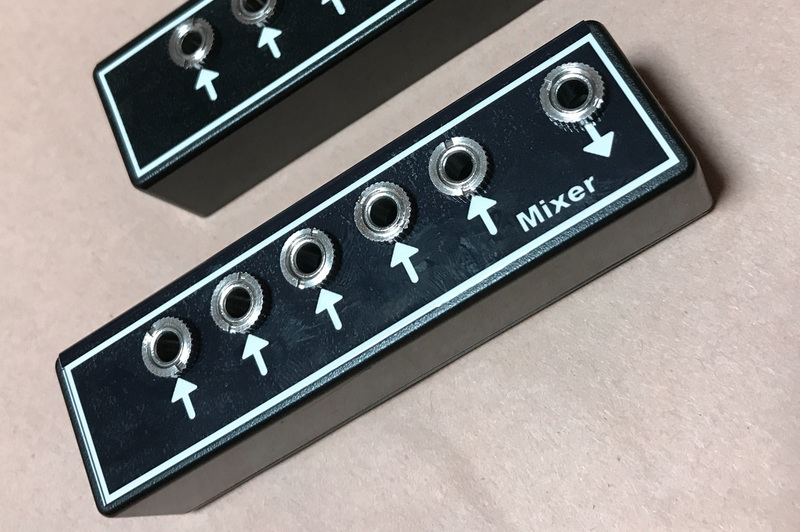 This is very simple mixer. You can use it for not only DC(CV) but also for audio signal. It’s passive design so you can need of power supply for it. For mixing up some DC as CV for some other module on modular synth system or so, you can patch any signal where you need. if you need attenutor for input or output, add fader (#019 Fader) where as you want.